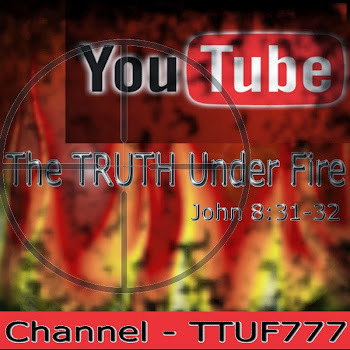 This is an ongoing, expositional study in the book of Romans; it represents the second such series as found on TTUF and its associate site FROM the MIND of FIRE. After seeking the LORD about which book to study and post articles on, I came down to two choices, either Romans or Hebrews (both are among my very favorite), and after some consideration and reflection, I decided on Romans (yet with the intention of getting into Hebrews, LORD willing, later on down the line). Romans holds a very special place in my heart as this is the book that the LORD used to bring me into the Kingdom of God via the revelation of the true Gospel of Jesus Christ (ROM 4:1-5) was the specific passage that the LORD used to ‘turn on the Light’ for me!). The book of Romans is considered the best and most thorough treatment of Christian doctrine in the entire New Testament. It logically, accurately, and with absolute biblical authority explains (1) how all are sinners and unrighteous before a Holy God, (2) how we may obtain righteousness via justification by grace and faith in the LORD Jesus Christ and His work of atonement on the cross, (3) how as Christians we may grow in Christ and Christ-likeness via that second aspect of salvation, sanctification, (4) the distinction between the church founded upon Jesus Christ and the nation of Israel, whose covenant with God has not been abolished or transferred to the church but will be fulfilled upon the return of the Messiah of Israel to Earth, (5) the service to and glorification of God in the life of the Christian, and (6) the primary motivation of such: the love for Jesus our LORD and SAVIOR. “The greatest and most evident theme in the epistle is the subject of the gospel. Paul begins his letter by stating that he was called to be an apostle for the gospel's sake (ROM 1:1). Paul's dedication belonged to Christ and his gospel as he preached it with his whole heart (ROM 1:9). The gospel is also portrayed as the power of God unto salvation—that is able to save those who believe (ROM 1:16). This same gospel was not accepted by all the Israelites (ROM 10:16), yet graciously (and fortunately) includes the Gentiles as well (ROM 15:16). Now that the preliminary outline and background has been laid down, we can get into the study itself! Get ready saints, this is spiritual chow time! Let’s dig in!! The Gospel of God is I believe the broadest application by which the Gospel itself is presented to humanity. It comprises the singular message of hope, that is the Gospel itself as presented to Adam and Eve (GEN 3:15), to Abraham (GEN 17:1-8; ROM 4:3); to David (PSALM 89:3-4,33-37; 32:1-7); to Israel in general (MATT 4:17) and to the church (ROMANS 1:16) as well as to those saints who will come out of “great tribulation” (REV 14:6). Just as Peter was called to preach the Gospel to the Jewish believers (“the circumcision”) in Christ, Paul was likewise called of God – separated (i.e. consecrated or set apart specifically for) the Gospel unto the Gentile believers (“the heathen”; see GAL 2:7-9). Some might make a distinction by saying that there are two churches founded (such as expressed by those who hold hyper-dispensational views) – one Jewish and the other Gentile, yet this is not what Scripture teaches: we are all one in Christ and no longer, from a spiritual perspective, “Jews or Gentile, male or female, bond or free” but one body in Christ (GAL 3:28). Paul declares himself as “a servant of Jesus Christ” – there are two words used to describe ‘a slave’; one is doulos and the other is diakonos; both mean 'slave' - completely surrendered as a slave, but whereas diakonos places the emphasis on being given over to the work at hand, the focus of doulos is the emphasis on the relationship between master and slave. In this verse, Paul uses the word doulos: he is absolutely, unconditionally surrendered to his LORD Jesus Christ with no say whatsoever over his own life, abdicating all of his rights, and devoted entirely to Him in a relationship of agapeo love (an “others-centered” love that is focused and devoted entirely to the object of love, in this case, the LORD Jesus Christ Himself). This is a sobering consideration that we as Christians must confront in our hearts, particularly in today’s church where the emphasis is placed on the believer, rather than on Christ Jesus – how we may be blessed, made happy, and served rather than how we may bless the LORD with loving, obedient hearts, doing that which makes Him happy and determined in our service for Him and His kingdom. No mistake can be made here: the life of a doulos is the life of a crucified believer whose own will (be it sinful or not – there are neutral areas in which we may will to do something that is not necessarily sinful) is put to death, and the life that such a believer lives is infused with the very Spirit, the very will, the very unction and the very Presence of the LORD Jesus Christ Who may freely operate within such a one with no impediments or hindrances (GAL 2:20; ROM 6:1-4) to bring glory to God and expand the Kingdom. While Paul is called as an apostle who was ordained by the LORD Jesus Christ to preach the Gospel, manifestly in a post-Resurrection visitation (ACTS 26:12-19), but in actuality before the world began (1 COR 9;17; EPH 2:10; 1 TIM 2:7); we are also called of God. While the office of the ‘prophet’ and that of the ‘apostle’ has been closed (no longer in operation in the church today), we believers in Christ Jesus are called with a calling that has as much legitimacy and importance – as “saints” of God (vs. 6, 7). Paul is disparaged and ridiculed today just as he was during the days of his ministry; there are those that assert that the Gospel he preached was different (actually perverted by him) than the Gospel as preached by Jesus Christ (and John the Baptist before Him). Yet the apostle rightly affirms that this is the Gospel that was promised before by God’s prophets in the Holy Scriptures (The Old Testament), in regards to His Son who “was made of the seed of David according to the flesh”. By referring to Christ Jesus in such a manner, Paul connects his own preaching of the Gospel with the Gospel message of the coming Messiah of Israel Who is ‘Christ’ the Son of David (a Messianic title). His presentation of the Gospel is in no way in conflict or contradiction to the Gospel message as presented by our LORD or His herald, John the Baptist. The only distinction between the two is that while the LORD directed His message to Israel, Paul’s direction is towards the world at large, predominantly but not exclusively to the Gentile world, of which the LORD would “call out a people for His Name’s sake” prior to His re-establishment of the kingdom of David (ACTS 15:14-15; AMOS 9:11-12). Once the LORD Jesus Christ was rejected by the official Jewish religious leadership, He began speaking in parables – a form of judgment (but also a mercy) upon those who refused to hear and receive the Messiah that would inhibit spiritual understanding. As well as this, parables are also a form of allegorical teaching for those who would receive the Messiah and would inspire, rather than inhibit spiritual understanding (MATT 13:10–17). The LORD also began speaking about “the church” (MATT 16:18*) rather than addressing Israel as nation and heir to the promises as given to Abraham and David (which were not cancelled, merely postponed until after that Gentile “people [who are] called out” from among the nations, at which time, God will fulfill His promises. The declaration of Jesus Christ as the Son of God was not with mere words, though the words of Christ were testified even by unbelievers to be those of a very uncommon, even a unique man (JOHN 7:46). 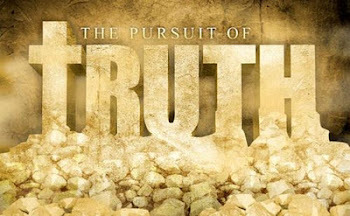 In fact the teachings and expressions of truth, as well as claims made by Jesus Christ are unique indeed among all religious founders in the world. Yet the declaration of the Messiah of Israel was with power, and such power as that which raised Him from the dead. Again, such power shall be yet demonstrated when in a glorified state as was never seen before or since, He arose in ascension to the Father (and will in fact be witnessed at the occurrence of the rapture of the church, both to the living saints and the dead). This power is not indiscriminate, or neutral, but in nature, holy: holy power as opposed to unholy or satanic power. It has been said that “absolute power corrupts absolutely” – this is true, if that power is in the wrong hands. Frank Herbert, novelist of the Dune series made the accurate observation that “the corrupt are drawn to power”, and such are those in our present age of man’s so-called autocratic rule in which he has proven himself horribly delinquent and incapable in proper self rule, much less ruling over his fellow man. In our day, the idea of politics and corruption sadly seems to go hand-in-hand. Yet the LORD Jesus Christ has ‘the right nail-scarred hands’ for this purpose and is alone worthy of ruling over humanity; in Him are all the virtues and wisdom and power necessary for such a role; likewise to those who portray such character as our LORD shall be given authority to rule with Him; that is to say, those over-comers that obtain victory over sin, the world and Satan (REV 2:26-29; 3:21; 12:11; 1 JOHN 2:12-17). The resurrection is the veritable cornerstone of our faith, proving that Jesus is Divine, proving that He is sinless, proving that our own sins are forgiven, and proving that His power is holy and eternal. As assuredly as our LORD has risen from the dead, so may we be assured that this same Spirit can and will quicken our own mortal bodies – in holiness as well as in life eternal in glory (ROM 8:11). Paul equates his calling and authenticity of apostleship with those previous to himself who were likewise personally ordained by Jesus Christ; as with apostleship which these were ordained to, any calling of God, whether it’s to the pastorate, eldership, missionary, spouse, parent, what have you, must be received with grace by which we are enabled to function in that calling, not by our power but by God’s. Perhaps this is why so many in the ministry suffer ‘burn out’ – because having begun their calling in grace, they then assume to maintain it by their own effort and power: a yoke far too heavy to bear and one that the LORD never intended for us (MATT 11:29). Any calling and any ministry must derive from God’s grace in order to function and produce fruit; Andrew Murray was often saying that we must guard our relationship with the LORD and allow no interference to it – even the ministry itself, because once we stop receiving from the LORD, we are deficient, we are not ‘fully full’ of the Holy Spirit to overflowing (i.e. “rivers of living water” (JOHN 7:38) and its this overflow that ministers to others (GAL 2:8-9). “For His Name” that is to say, in the Name of Jesus Christ is any ministry to be conducted and this requires that the nature and character of our LORD must permeate the work. His love, His wisdom, His knowledge, His grace, His truth, et al. must be in evidence of anything done for Him and His kingdom. Perhaps the ministry on a practical level may not be ‘par excellence’ and demonstrates room for improvement, but will nonetheless be recognized and rewarded at the bema seat judgment for the church, if such things are conducted in the love of Christ, exhibiting the fruit of the Holy Spirit (1 COR 13:1–8; GAL 5:22–23). Motivation rather than manufacture will be examined and rewarded for any service done in the Name of Jesus Christ. If the motivation is born of God it will, to lesser or greater degree, reflect in the manufacture. “Obedience to the faith”, being the body of Truth as revealed in the Holy Scriptures is the duty, not the option of every believer in Christ. The LORD told us that if we love Him, we will obey His commands (JOHN 14:15,21; 15:10). We are not at liberty to refashion “the faith” according to our own perspectives or desires as is too often the case with American Christianity. Either the commands of Jesus are to be obeyed for our own good and blessing or they are to be ignored at our own peril. For instance, Jesus commanded that if we would see and enter into the kingdom of God we must (note that word: “must”) be born again. Obeying this command of Jesus is not an option if one would enter into the kingdom of God. This is the way, as opposed to all others! Yet today we hear evangelicals who claim to believe the Bible, say such things as “. . . the whole ‘born again thing’, it never really worked for me . . .” as if such trial and error Christianity was viable, and the command of Jesus couldn’t be taken so literally (There are those that refer to biblical Christianity as “brickianity” because they perceive it as too rigid and not flexible enough to suit their taste). Grace is provided not just for the forgiveness of sin, not just for redemption, but also for obedience to “the faith” and any who disobey it will be judged accordingly and indicted because they did not obey when power (JOHN 1:12) was made available for them to do so if they would only believe! Just as Paul was called to be an apostle, Jeremiah was called to be a prophet, and others have received their calling to various ministries, all of those who are called of God and first and foremost “called to be saints”. This word ‘saint’ and the word ‘sanctify’ come from the same Greek root. hagios “akin to hagiasmos and hagiosune, which are from the same root as hagnos (found in hazo, "to venerate"), fundamentally signifies "separated" (among the Greeks, dedicated to the gods), and hence, in Scripture in its moral and spiritual significance, separated from sin and therefore consecrated to God, sacred." (a) “It is predicted of God (as the absolutely "Holy" One, in His purity, majesty and glory): of the Father, e.g., LUKE 1:49; JOHN 17:11; 1 PET 1:15,16; REV 4:8; 6:10; of the Son, e.g., LUKE 1:35; ACTS 3:14; 4:27,30; 1 JOHN 2:20; of the Spirit, e.g., MATT 1:18 and frequently in all the Gospels, ACTS, ROMANS, 1 and 2 CORINTHIANS, EPHESIANS, 1 THESSALONIANS; also in 2 TIMOTHY 1:14; TITUS 3:5; 1 PET 1:12; 2 PET 1:21; JUDE 1:20. (b) “It is used of men and things (see below) in so far as they are devoted to God. Indeed the quality, as attributed to God, is often presented in a way which involves Divine demands upon the conduct of believers. These are called hagioi, "saints," i.e., "sanctified" or "holy" ones. “This sainthood is not an attainment, it is a state into which God in grace calls men; yet believers are called to sanctify themselves (consistently with their calling, 2 TIM 1:9), cleansing themselves from all defilement, forsaking sin, living a "holy" manner of life, 1 PET 1:15; 2 PET 3:11, and experiencing fellowship with God in His holiness. The saints are thus figuratively spoken of as "a holy temple," 1 COR 3:17 (a local church); EPH 2:21 (the whole Church), cp. EPH 5:27; "a holy priesthood," 1 PET 2:5; "a holy nation," 1 PET 2:9. “It is evident that hagios and its kindred words ... express something more and higher than hieros, sacred, outwardly associated with God; ... something more than semnos, worthy, honorable; something more than hagnos, pure, free from defilement. hagios is ... more comprehensive ... It is characteristically godlikness" (G.B. Stevens, in Hastings' Bible Dictionary). (c) they may be found "unblameable in holiness" in the parousia [appearing] of Christ, 1 THESS 3:13. As is readily evident, the calling of the saint is the highest calling that can be obtained by anyone; the offices of prophet, apostle, pastor, evangelist, etc. has been or will one day be done away with once the church is brought home to be with the LORD Jesus Christ. Yet our calling and position as saints will never be nullified, but something we shall possess eternally. Therefore if you think of yourself as inadequate because you’re ‘just a Christian’ and ‘nobody important like a pastor or an evangelist’ think again! As a saint of God, you are a member of the body of Christ (1 COR 12:27); you are a member of the high and holy and royal priesthood and therefore have access to the very throne room and throne of God and have God’s ear open to your plea (1 PET 2:9); you are destined as an over-comer to be part of God’s kingdom as a king and priest yourself – (REV 1:6; 5:10). God will exalt you to sit with the LORD Jesus Christ on His throne (REV 3:21)! It’s usually customary among Bible teachers to point out the fact that everywhere in Scripture where grace and peace appear together, they are always in the order of “grace” before “peace”; the significance of this is that before we can experience peace with God (ROM 5:1) we must first obtain the grace of God. Apart from the propitiation (satisfactory sacrifice) of Jesus Christ, God is unable to bestow grace upon sinners – in His holiness and as Creator of all, He is obligated by His very nature to see to it that justice is done, and treason against His Holy Law as the rightful King of all must be punished. Yet because Jesus Christ as the Lamb of God was judged in our place, was condemned and suffered for our sins, shedding His righteous, sinless blood on the cross for our sakes, the justice of God is fully satisfied. We who have trusted in Christ Jesus are no longer under His wrath; we are no longer considered enemies, who in a naturally rebellious state against the LORD defiantly denied His rightful rule in our lives, but we have been saved by the blood, made His (adopted) children; “beloved of God” and are thereby at peace with God. Once we have been reborn of God’s Spirit and indwelt by the same, we then are able to experience peace with God (PHIL 4:7), and this entirely apart from our own understanding, so that even in the most stressful, dire and bleak circumstances we are well able to partake of this supernatural peace of God, just as saints who have endured incredible misery, hardships, persecution, tribulation in history and in parts of the world today have and are experiencing it. Rome was a hub for travelers and trade, so as a result when news reached this city, it spread relatively quickly as there were always people coming and going through there. Likewise when the gospel reached the people of Rome, and they were born into God’s kingdom and a church was established, news traveled concerning this development and of their faith. Let it be that our own faith, in our own fellowships be spoken of favorably by others as commendable and sound, exhibiting an implicit trust, worship and love for the LORD Jesus. Of course as Christians we ought to be in fervent, and constant prayer for one another, but what is the consistency of your prayer life like? I can tell you that mine is often sporadic, but here Paul calls upon God as his witness that his prayers for the Roman church has been “without ceasing”; I would be embarrassed I think to call God as a witness for my own prayer life! How about you? Also, if you notice, Paul quite often ‘coveted’ prayers from the saints on his behalf (ROM 15:30; EPH 6:18-20; 1 THESS 5:25; 2 THESS 3:1; and HEB 13:18); obviously he was well aware of the need, the efficacy, and the power of prayer. Each and every one of us, as we engage in the ministry that God has called us to, should be aware that ministry is a two fold labor of love: the first is the work itself; the second is prayer for those being ministered to as well as those potential souls who may well find an opportunity to be ministered to by us; the ones that are ministering along side of us, as well as for ourselves. “Prayerlessness brings paralysis to the body of Christ.” How can we function as the LORD’s body without prayer? Without seeking Him, and His will; without seeking His instruction and direction and empowerment, we are a paralyzed body spiritually speaking and are helpless to conduct in the work of the Gospel and in the church! It follows then, that if any do indeed love their brother, that is the saints of God, it proves that they love God as well. Paul had a love for the saints because his chief love was for the LORD Himself. As we love God and fellowship with Him, the communion resulting from such draws our hearts together with His own so that His passions become ours, His care for the sheep becomes ours as well; His priorities, the things that bring Him joy, those things that cause Him to be angry, we relate to ourselves, if we are spiritual. Paul desired to bestow “some spiritual gift” to these beloved of the LORD, and by so doing see them “established”, or ‘sterizo’ in the Greek: “to make certain, sure, to make stable, place firmly, set fast, fix to strengthen, make firm to render constant, confirm, one's mind” (see HEB 13:9; 1 PET 5:10-11). He would not assume that all were saved, that all had the proper foundation laid in Christ Jesus as the Cornerstone of salvation. He would preach the Gospel to all, and see to it that they were certain and firmly confirmed in their own minds that they were genuinely redeemed. In the pulpit we can teach and preach much in the full counsel of the Word, bringing the saints along in maturity and discipleship, but it’s always wise to return to the Gospel and confirm the saints in their minds regarding the validity of the work of salvation in their lives. The apostle not only sought this ministry among the Romans, he also desired ministry by way of comfort (encouragement) from them as the “mutual faith” of each ministered to one another as a proper function of the body of Christ, saints serving one another which is often called ‘body ministry’. Now I would not have you ignorant, brethren, that oftentimes I purposed to come unto you, (but was let hitherto,) that I might have some fruit among you also, even as among other Gentiles. I am debtor both to the Greeks, and to the Barbarians; both to the wise, and to the unwise. God’s timing is not always our own: Paul purposed to come to them previously, but was ‘sidetracked’ as it were; the timing for such a visit was not yet there for Paul. This is often why when I pray about a certain meeting, or event, or opportunity for ministry whether to an individual or a group, I like to pray for what I call “Divine punctuality” or simply that I walk right in step with the LORD; “where He goes, I go, where He stays I stay”, to borrow a line from Chris Tomlin. We see our LORD Himself often saying that His “hour is not yet come” and here it’s most especially relevant where His presentation as the Messiah occurs; this presentation had to occur precisely when it was prophesied to come (See JOHN 2:4; 7:30; 8:20) and He expects us to likewise be watchful, ready and prepared for the exact timing (whenever that will be) for His Return (MATT 24:42-43; 25:13; MARK 13:37; LUKE 21:36). Paul described himself as a debtor to all the Greeks and the Barbarians (simply those who were non-Greek, not necessarily savages as we would think of ‘barbarians’.). Why is this? For if I do this thing willingly, I have a reward: but if against my will, a dispensation of the gospel is committed unto me. The One who saved Saul of Tarsus, the Messiah of Israel Whose followers he had been tracking down, imprisoning and even participating in their deaths had given him this commission of preaching the Gospel. So because He had sent this ex-Pharisee to the Gentiles (ACTS 22:21; 26:17) to preach, he felt that this was a debt obligated to him; not that he was compelled in any way in an attempt to ‘pay back’ the LORD for His salvation of the apostle’s soul (that would have been impossible), but out of a heart of love and gratitude as well as utter submission to Him that the apostle confessed as LORD, he was indeed a debtor to the ones he was sent to minister to. Are we prepared always to share the Gospel with others? Are we conversant with Scripture enough, that at any given moment when called upon, we can present the simple and direct message of the Gospel to others? The declaration of this message of hope can be done in a matter of a couple of minutes. Accompanying passages are readily found in the Scriptures. The Holy Spirit is ever ready to minister through us; we must be ready “in season and out of season” and be “ready always to give a reason for the hope that is in us” (2 TIM 4:2; 1 PET 3:15). There are too many professing Christians and even church leaders and pastors that seem ashamed of the Gospel of Jesus Christ today. It’s referred to as a “slaughter house religion” what with all that blood, gore and violence. The cross itself has been called “false advertising for God” by one particular so-called ‘Christ-follower’. It seems the church is attempting to distance herself from this central and crucial message of Jesus Christ and Him crucified (1 COR 1: 23) lest she offend any ‘seekers’. Our enemy Satan understands the necessity of the cross better than some of Jesus’ supposed followers, therefore he and his ministers, posing as ‘enlightened teachers of glorious wisdom’ (2 COR 11:14-15) must pry loose the firm hold of the saint who would cling to the old wooden cross, for only then has the church lost her power for a sanctified life and a Gospel with holy unction! Let us not be deterred by those who disparage the message of the Gospel, but rather by God’s Spirit let us be emboldened to declare with even greater passion and deeper conviction the Gospel of the LORD Jesus Christ and His salvation of grace by His death on the cross and resurrection from the dead! Expect more on this verse in the next study where we will complete the first chapter in this awesome, deep and intense book of Romans, the quintessential document of Christian doctrine in the New Testament! God bless you saints . . . WAY TOO MUCH!